Here are a couple of great photos I have recently accessed which are not mine, but definitely worth sharing. In both cases they are moving forestry gear. 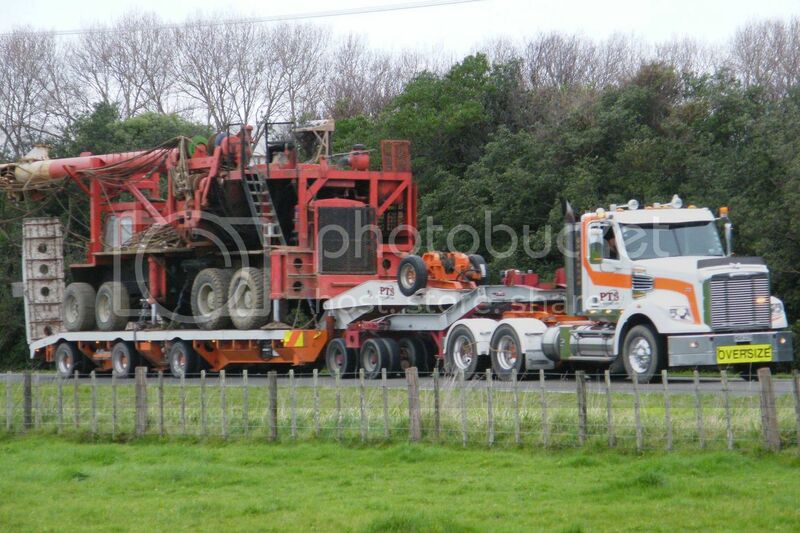 Max Youle managed to snap this PTS Freightliner Coronado on No.1 Line in Palmerston North. Excuse the slight blur, but Max's wife alerted him to its approach and Max had to grab his camera and race out to his deck and grab this before it was gone. 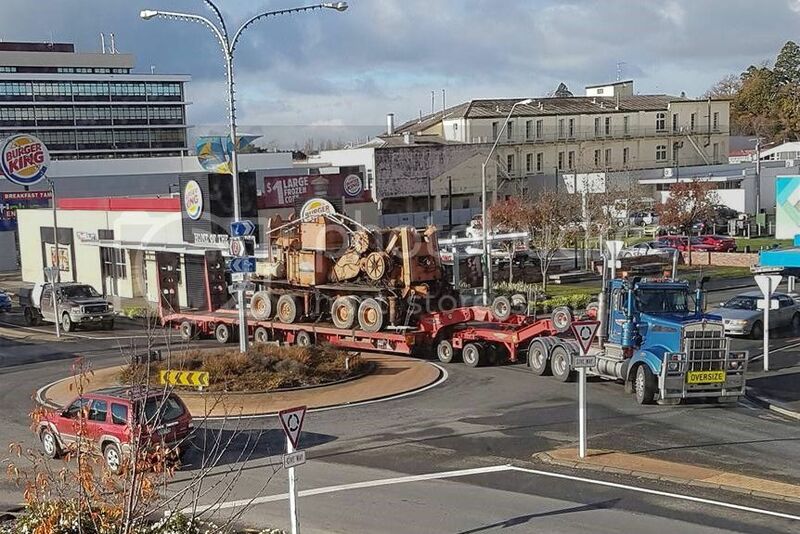 This great pic is from Alec Birch, who managed to snap Satherley's Kenworth T904, from Masterton's municipal buildings, as it negotiated the Lincoln Road, Chapel Street roundabout.